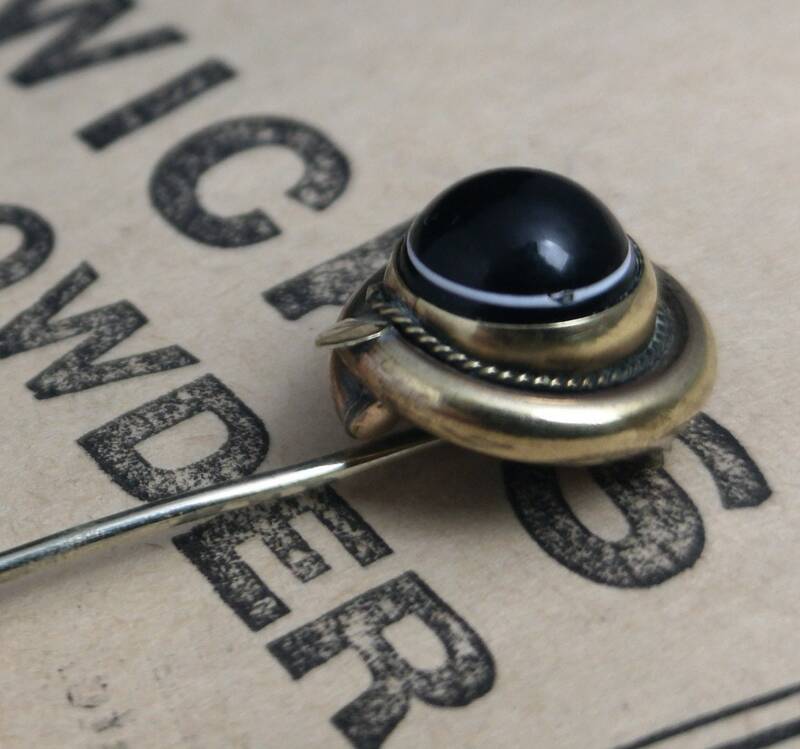 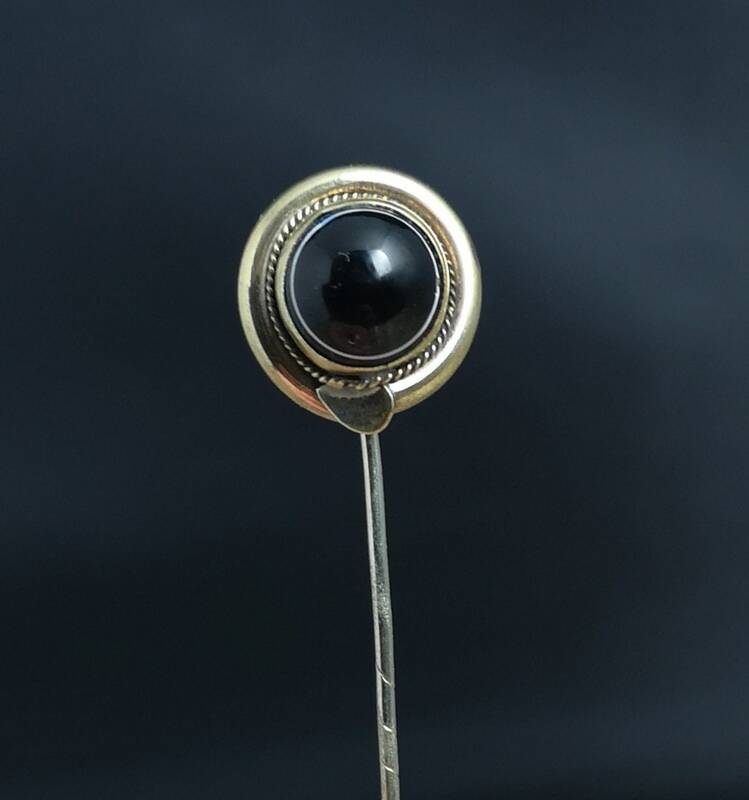 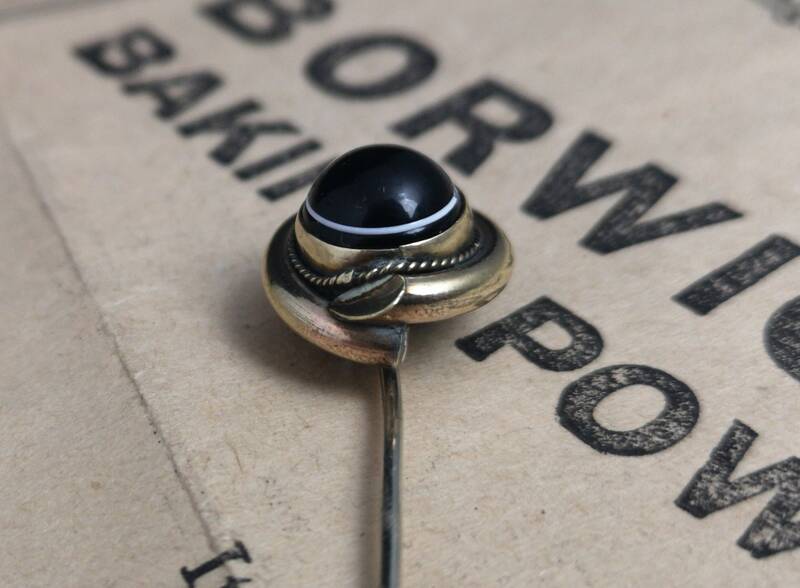 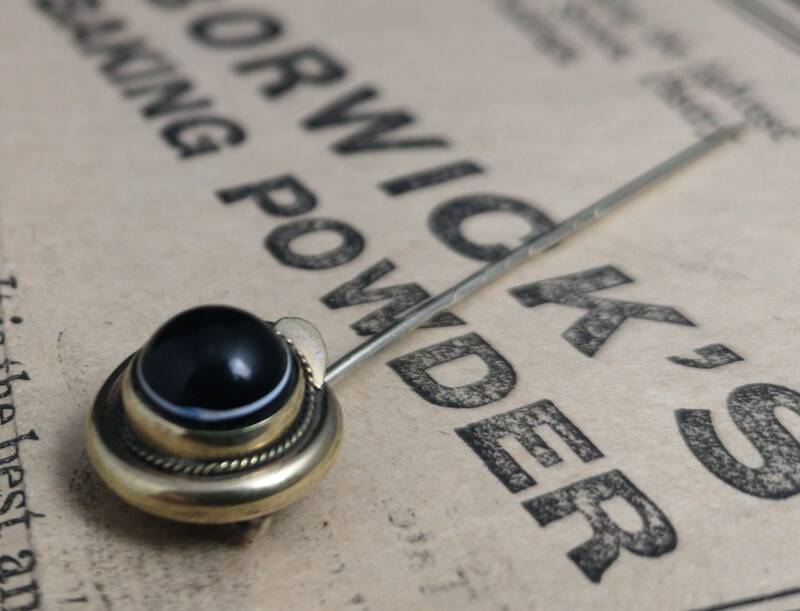 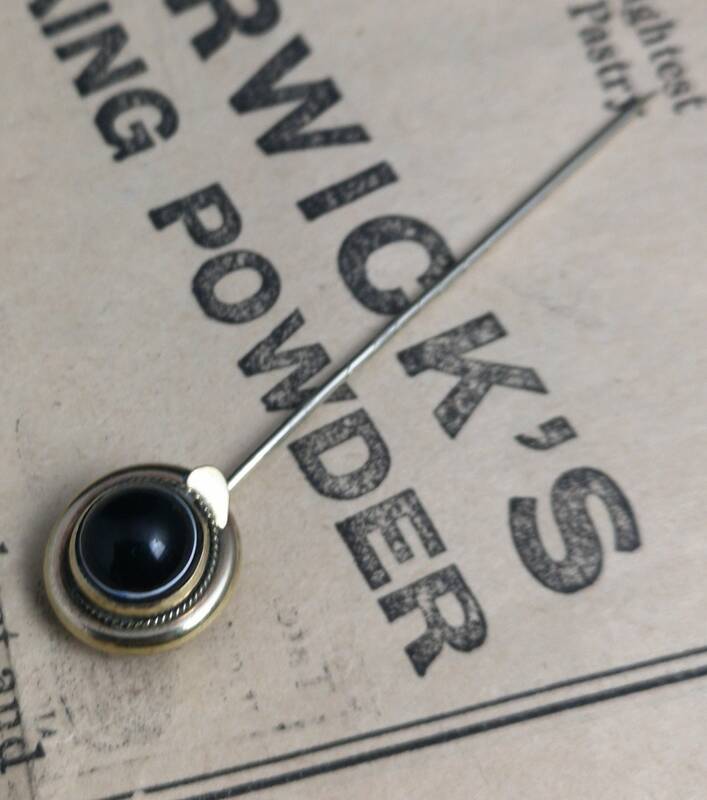 A very attractive antique Victorian stick pin or cravat pin. 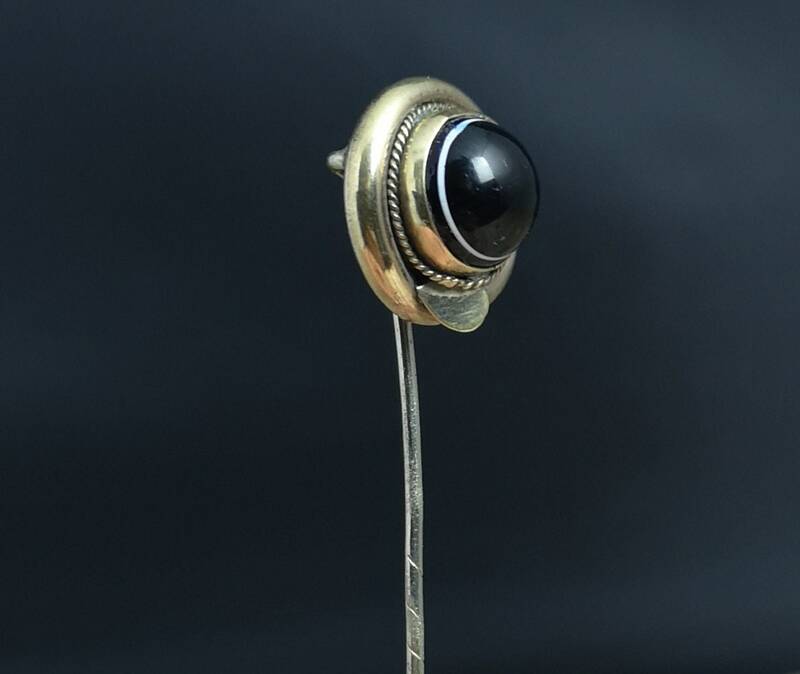 The cabochon is held in a decorative swirl setting with delicate beading in the centre, the top mount is 9ct yellow gold, unmarked but tested. 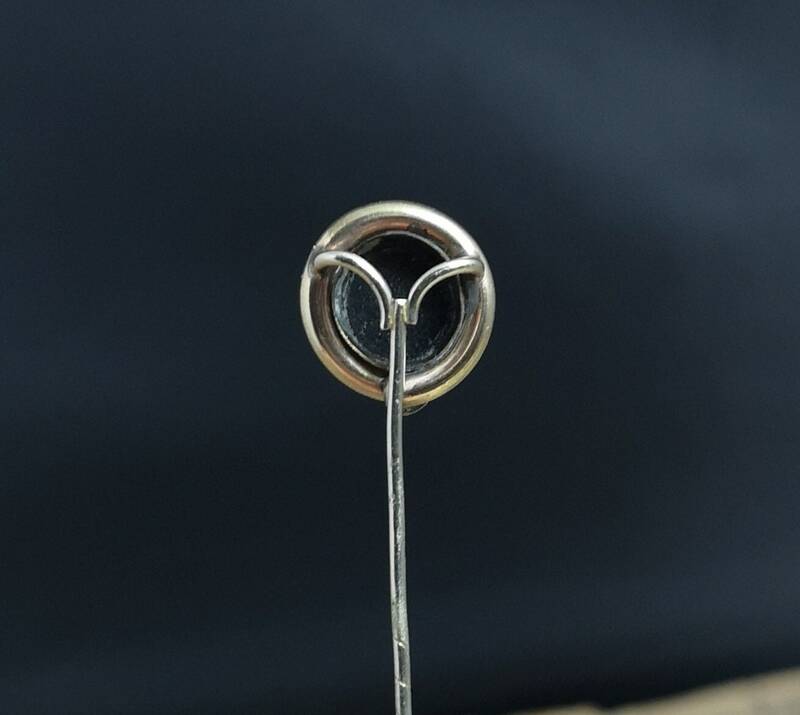 The pin is made from steel and is twisted top middle. 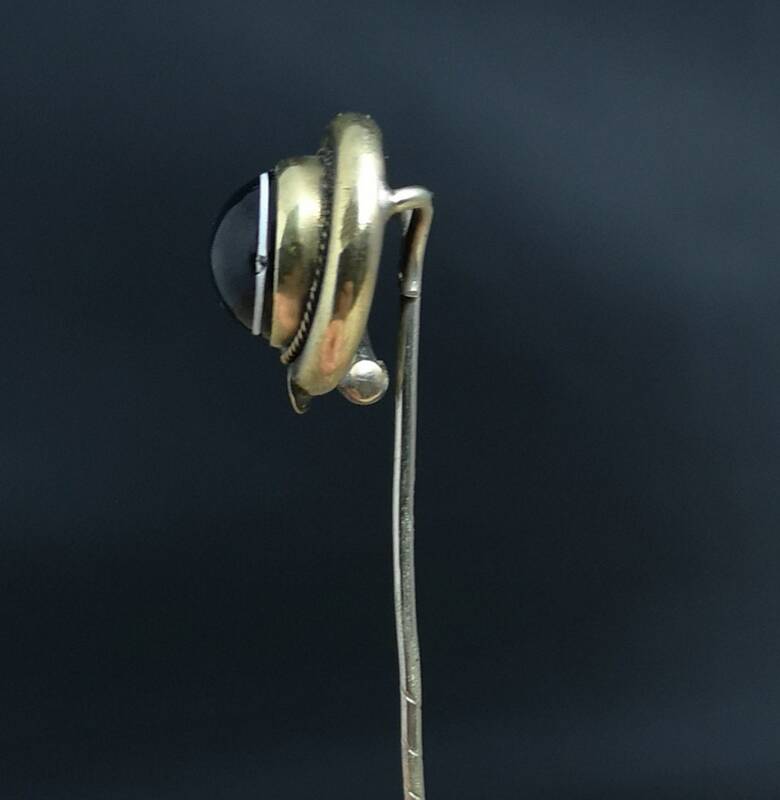 Good condition however there is a small chip / crack in the stone and some tiny scratches.